The Rev. 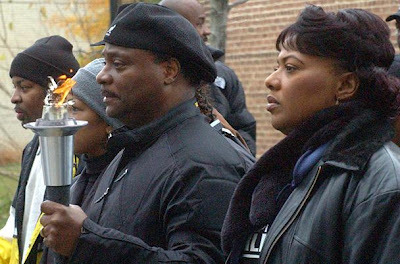 Bernice King will announce on a radio show Tuesday that she is stepping down as an elder at New Birth Missionary Baptist Church, an action apparently unrelated to Bishop Eddie Long's recent settlement of four sexual misconduct lawsuits. King intends to disclose her plans to radio host Rhodell Lewis on Praise 102.5, and on mypraiseatl.com between 4 and 5:30 p.m., according to an Effective Media Group news release. King is leaving with the blessing of Long, pastor of the Lithonia Megachurch, and had been planning this move for a couple of years, according to a person with knowledge of the situation who was not authorized to speak publicly and requested anonymity. So you really expect us to believe Bernice King's leaving of New Birth has absolutely nothing to do with the scandal that has been clouding the New Birth cathedral? Child please! Y'all ain't fooling anybody. Bernice is trying to leave while the getting is good.